ArrayO'Style! : How to get into the Christmas spirit. If it hasn't struck you yet, it is December and far from those summer days which seem like yesterday. Well given the English weather- we remember the distinctive, sun. When (if) it shows. Today it would be the 11th dress of #DRESSMAS but I felt like it was time to reflect on the current time of year. 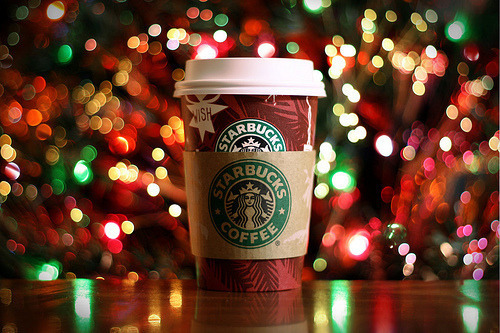 It's two weeks till Christmas *panic, scream, gasp*. I'm not going to lie, but it still feels like the start of term. Let alone end of term exam time (Revising over half term, how jolly). I haven't even started shopping yet (well I lie, I visited the Clothes Show and kinda was surrounded by stuff I like, so sadly I bought no gifts. I know, terrible). But in this world we're so work, work, work. So our teachers/bosses will say 'Complete this by Friday'. But we see no importance in Friday. We just get to that day and realise 'oh sugar it's the week before Christmas'. Because we're just hypnotized by the work/school world we're in. So today, I've compiled a list of tips to get you into the Christmas spirt. Enjoy, Snowmen. Try to use Christmas related words into as many sentences as you can. It may sound silly- but it gets you thinking about what's ahead and let's be honest being silly and childlike again. That's what Christmas is all about, not losing the childlike magic it deserves. If you've ever played the game 'Bogey' I suggest playing it using Christmas words: Santa, Snowman, Rudolph, Frosty etc. The game is basically get with a group of friends (or just a sibling) and see who can shout the word the loudest in a public place. Embarrassing, but fun. Make sure everything you do is Christmas related. Christmas crosswords, Christmas films, Christmas songs, Christmas jumpers/clothes, Christmas slippers... whatever it is go with it. It may sound silly, but just go with it. The more Christmas is in your head, the more you'll cling to it. Or get aggravated by it. Koodles. Buy Christmas presents, preferably not the night before. This may sound obvious, but when you've found something uninteresting for that person- will you be excited to see their reaction on Christmas morning? Instead take a good chunk of your time and actually plan in advance. That way you'll be more excited for the day to arrive as you actually care about what you've put under the tree as you've spent time clearly looking for something that matches the person's interest. And if you don't know what to get that person... check their online interests/likes, Pinterest boards, Tweets or just ask them. An easy one is always their favourite box-set, film, musician merchandise. Type this into Etsy and bam, loads of results. I always prefer Etsy over normal shops as buying homemade is satisfying. You're helping an everyday person, who has perfected their craft, afford the luxuries in life or maybe just the necessities. 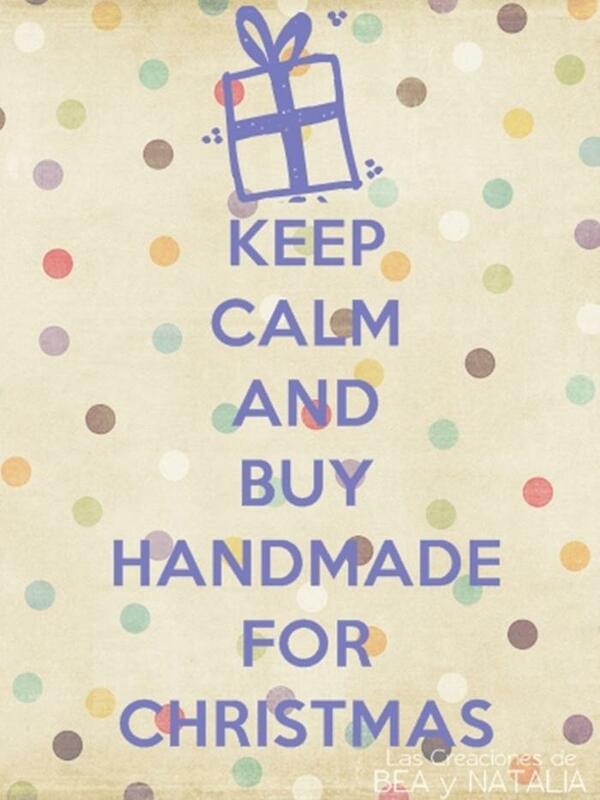 Start the trend of buying homemade through Etsy, Folksy, Storenvy or your local market. 5. Paint your nails Festive and bake Christmas goods! Okay so this probably ties in with tip no2, but hey ho- it's a good tip to end on. The tutorials are good to get into the Christmas spirit and here's a popular Christmas nail tutorial (it hasn't been updated, so new ones will be arriving soon). I haven't actually posted any Christmas baking tutorials, so they are next on the agenda. And happy holidays from us!